Sleek, contemporary and perfect for everyday. An effortlessly elegant pair of diamond stud earrings set in 9ct white gold. 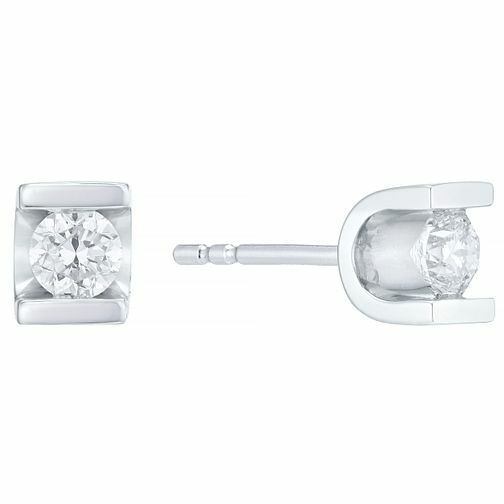 9ct white gold 0.40ct diamond stud earrings is rated 5.0 out of 5 by 1. Rated 5 out of 5 by Anonymous from Beautiful Diamond Earings I purchased these diamond earrings for my beautiful grandaughters graduation, they are beautiful and she loves bed them, crafted in lovely white gold.